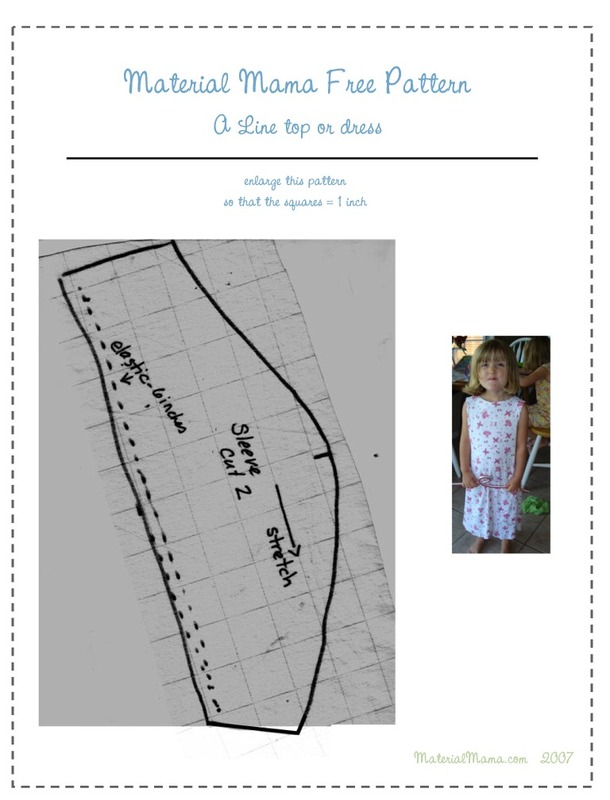 My first drafted dress pattern, free to you! This is the first dress I made custom for my girls. I’m offering the pattern for free if you’d like to give it a spin! It’s a fairly simple A Line dress, with or without sleeves. You can use ribbing on the collar and armholes or you can serge, and fold under. You can use these patterns as you wish, I think they are pretty self explanatory. 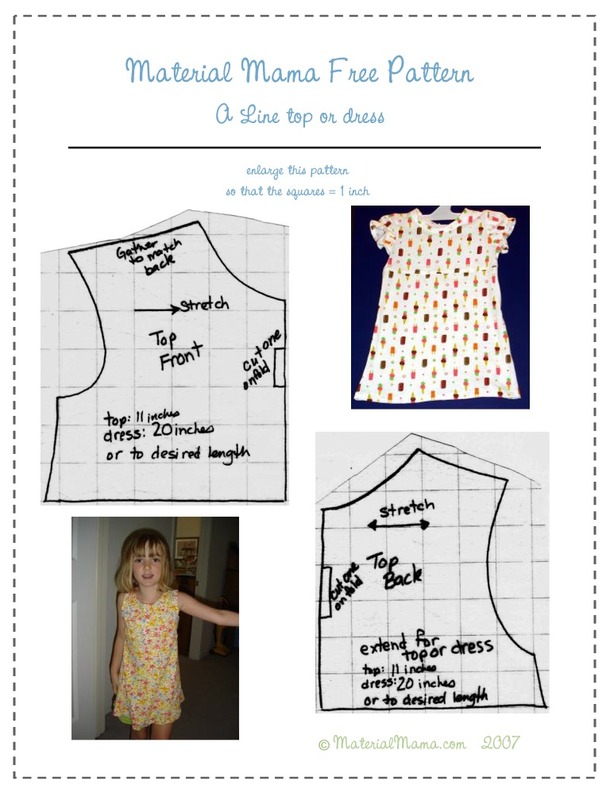 If not, Here’s the sew along in .pdf form, and in html. Use a knit fabric, and these fit about 3T-5. I’m getting ready to start teaching again next week. I’m only scheduled for a 20% gig which means I teach one day a week. However there is a lot of start up time and things to get done so I can be cleared for duty by next week. I’m trying to get a new podcast out as well, hopefully this week. 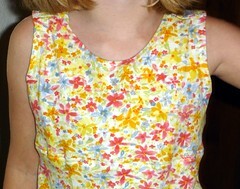 I’m doing a lot of denial sewing, I’ve made like 8 of these dresses, they are super duper easy. I used some ready to wear concepts that I loved to draft these myself. You can make as many as you want, and they are wonderful to embellish! Have fun and I’ll ‘see’ you soon. Hey, if you’re reading this why don’t you give me a call on my voice mail only line at 1-775-593-5136 and let me know what you’re working on and what you’d like to hear more of on the podcast! As jammies — I found if I cut it and don’t do much topstitching, they turned out as really easy nigthgowns! Using fabric with ‘tossed’ pictures also are good for night time wear. Can’t wait to give your pattern a whirl! Thanks, Nutmeg! Adorable dresses! I’ll need to try this for my 15 month old…thanks so much! Wow, they are really cute. I can’t wait to try. I’m very impressed with the PDF file you made for these dresses. Thanks for sharing the pattern and instructions and for everything you share with us. I so enjoy your podcasts. Oooh, very pretty! Am I one of the first 7?!?! I love this pattern! 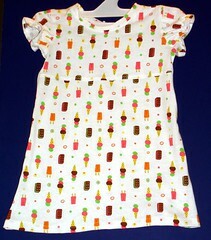 gorgeous dress/top, cant wait to try it for my 3 girls. would love to see anything else you have got. Thank you for this. I hv made dresses & shorts for my kids but hv never use any pattern. I don’t know how I even made them at all! I appreciate that you took time to take pics & prepare this pdf for others & for free! That’s really nice of you. I don’t understand certain sewing terms but still thank you. 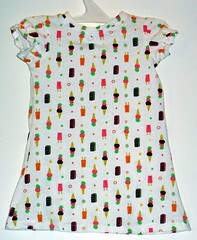 I am actually in the process ot “trying” to make another dress for my daughter who is now 8. THIS IS GREAT!!. Thank you, however why dont you include the steps and measurements. for us beginner?. Thanks! Your pattern is adorable and was exactly what I was looking for with my little girl in mind. It’s the perfect project for me to get back into sewing. Cute! Thanks so much for your contribution! I love this pattern, thanks for sharing your talent. I would love to see more of these in the future. Read ASAP! I logged into http://www.materialmamDOTcom as it suggested for the pattern above and got a dreadful site. Check it out. It’s not good. Please let me know if you get something else. Thanks so much Sewing Girl! iPowerWeb sold my domain to a third party, who is now trying to force me to ‘buy’ it back. It’s a huge scam and very sad. I’ve been trying to update everything, and to deal with ICANN to get my site back. Sigh. It’s been a huge problem. I’m very sorry. 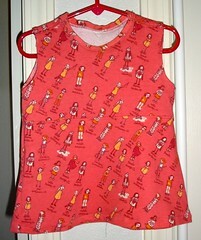 Could not find this adorable little girls pattern…please help out….thank you.